Oh, I hope that you can help, oh paint guru. Because, in my quest for the best white paint color, I feel like I’m sorely missing the mark. However, you need to know that I followed to the letter everything you’ve said to do on your blog and in your Laurel Home Essential paint Collection. Here’s what’s happening. I live alone and am doing some minor renovations, mostly painting. The painter left for the day, and instead of this beautiful, soft, creamy white, I was expecting, it was a pale yellow-gold with a very slight green tinge to it. The next day, the same color was peachy-pink. In the morning, it is a lovely, but slightly cool cream. It varies so much, it’s making me batshitcrazy. I guess what I’m wondering is what is this thing with paint undertones and if a paint goes from being gold-ish, to peach-ish, to green-ish and your guide says that maybe there’s a very slightly yellow undertone, but not always. I’ve lost my mind, apparently. Please make it stop! Just tell me to chill! And yes, it’s a “Dear Laurel” note written by me, to me. The one who has all of the answers. Well… no. not really. Not for me, I don’t. But we’ve been through that. So, what’s going on Laurel? Well, they’ve been working on my bedroom all week. Very nice, the guys are. My bedroom, the morning of Monday April 30th. The first day they fixed, patched and primed the areas that needed it. They moved over a panel moulding to where it should’ve been and now the boxes are more even on both sides of the window. I needed to give them the paint color. The best white paint color. For my particular space, that is. Well, that’s an easy one, Laurel. Cotton Balls. You said so, right here. Yes, I know but that is because someone was holding a gun to my head and I had to spit out a white paint color out or else we were going to have a big bloody mess. Now, don’t get me wrong. Cotton Balls IS a fine color. So are all of the great shades of white paint here. And certainly the only six white paint colors I’ve ever used. Here’s the wallpaper– again that Mural Sources has so generously donated for my bedroom refresh. Not pink, exactly, but just warm and blushy. However, there is some pink in the paper. And there is actually orange and that beautiful blue. Most of the big birds will be covered up by furniture however. You can see a close up of the paper here. I thought it would be a good idea to check out the wallpaper to make sure that the color matches my sample. So, I had one of the guys help me take out the wallpaper which came in a box in one giant roll. This is a piece of the wallpaper that I cropped and it is laying on the floor, not the wall. And what does Laurel say about looking at something that’s going to live vertically on a horizontal plane? Oh, that’s not a good thing to do. But did I have a choice? Yes, I could use my wallpaper sample, taped to the wall and I did that too. Well, didn’t you make your BIG samples, Laurel? No, because I’m an arrogant pig and I also have the larger paint samples. True, they’re not as big as they should be, but I’ve also been doing this a long time. The samples above, from left to right are: Chantilly Lace, Sand Dollar, Distant Gray, Alabaster. I chose Alabaster. To me, it looks like a dead ringer for Atrium White. Now, Atrium White has an undertone of pink. Why didn’t I pick Atrium White. What did you dooooo Lauuuureeeeeeellll? Well, they painted the Alabaster on the ceiling and one coat on the walls not being papered and at 4:30 in the afternoon, I had bubble gum pink on my bedroom walls. Not exaggerating and definitely not what I had in mind. By 6:00, the pink had calmed down considerably, but it really wasn’t what I wanted. I’m phenomenally flawed, after all. Chantilly Lace. Maybe? But no. What if it’s too bright white? I’m going with my old standby Benjamin Moore White Dove oc-17. And the reason is, I still wanted SOME color on the walls. Cotton balls is really verrrry close. Just a touch brighter. Really either would be fine and it is very unlikely that one would know which one was up. Interestingly, I found this image on Homebunch that says this is Benjamin Moore Alabaster. This is Benjamin Moore Alabaster above. Yes, it could be the same color as the mudroom. Who knows with photos? OR, it is also possible that this is Sherwin William’s Alabaster which was the color of the year in 2016, I believe. No, that looks even more different. But the point is that colors in photos almost always look different in real life. 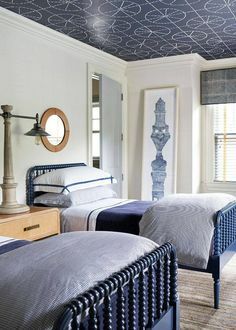 Just had to post this stunning bedroom from Amy Studebaker’s website. Please check out her work as she’s very talented! Next day, they painted the white dove in my bedroom and it’s a huge improvement. However, as soon as the guys left for the day, I began to get a very weird feeling. It’s the feeling you get when you’re in a room full of strangers and they’re all looking at you like you have a huge bugger hanging out of your nose. It wasn’t only the white paint color. It was like someone had switched children on me. Like, who the hell are YOU and what did you do with my baby boy? It’s just that my room which has been a source of comfort for me for so many years now, was no longer and it made me feel very strange. Longing for the old color even though a change was in order. Feelings of self-loathing because there is absolutely nothing to be sad about! Obsessive looking at wall color to see if it does something unexpected. Oh, it did. We’ve been blessed with incredibly warm, bright sunny afternoons recently. And my room faces south, southwest and west. The light is cool in the morning– like a north facing room and burning-hot in the late afternoon. In one corner, at times it looks slightly goldish-greenish and on the opposite corner still slightly pinkish. But not all the time. Some of this is the orange-y wood tone in the floor, too. That will calm down when the rug goes in. And the window treatments too. Sometimes, the color is a beautiful creamy white. Below is an area in progress. The gray is where the wallpaper is going. During the day, this is always the darkest corner of the room. It was with the purple too. That’s Benjamin Moore Advance on the door. Not bad! If this had been new wood, I would not have been able to tell the difference between Advance and oil. Here’s a little sample of the wallpaper on the wall opposite the closet door. In this shot, I was able to capture the subtle nuances of the paper. I love that bronze-y greenish tone. There are a lot of images of white dove in this volume of over 500 blog posts. If you click here, most of them will pop up. But here are a few favorites. We recently enjoyed this lovely renovation featuring walls and cabinetry painted in white dove. For more of this bathroom click here. For more of this kitchen above and below click here. And here. I also found a few gorgeous examples to share of this beautiful white dove paint color. Beautiful exterior brick painted in White Dove by Connie Riik via her instagram. Some closing thoughts about the best white paint color. I believe that paint focusitis nervosa is more common than people let on. And even though I’m making light of it, I understand that even though a renovation is ultimately a good thing. Sometimes it’s difficult to let go of the old. The other thought is that I know that some get paralyzed over choosing colors, particularly white. And that is why I narrowed them down. I wish it could be like trying on a dress in a store. But it’s not like that and even after the ENTIRE room is painted, it IS going to change– with the light. And sometimes it might even change into something not so desirable, but like a whiny child, eventually, it’ll stop whining. Blessedly, after a while, the focusing will stop. And one day, you’ll walk into your room and realize that you’re once again in love. Laurel, Curious if you considered Simply White when you were selecting a white with no undertones? I wanted a true white for my sunroom (b/c we were not planning on repainting the beadboard A- frame ceiling – which is Linen White, nor the trim which is probably Decorators White). I did not want any undertones of blue (Shoreline), gray (White Dove, Calm), green (Cloud Nine), pink (White Winged Dove) or yellow (Cotton Balls). After much thought and comparison of the chips, literally holding them in different angles at different times of the day (shh… no paint sample! ), I selected Simply White. It is simply a white. To me, it has a warmth without any visible undertones. My husband and I painted the room (at first he was very skeptical, but loved it!) and we plan on repainting the ceiling and trim in Simply White as well. Possibly even our basement, which has very little natural light. That’s for another day. In my quest to bring more white to our home (after de-browning the house when we first moved in), our new master bath is done in Ballet White walls with Cloud White ceiling an trims. It’s perfect. Back to the Sunroom for a moment… the original color, and what we lived with for over 3 years, was Linen White. I always disliked it, too yellow. Then on a whim one snow day this past winter, I had my husband paint it Ewing Blue. A lovely color for a front door, but not the entire room! It didn’t blend with anything in our home. There are numerous whites which would’ve been suitable. The lighting in this room is insane. And White Dove goes from looking close to pure WHITE, to cream, to slightly pink, taupe-ish and sometimes all of the above– and at the same time. But I love it! Over-all, It’s exactly what I wanted– a warm, very soft white that’s not calling a lot of attention to itself. I chose white dove because I didn’t want a lot of contrast between the wall/trim and the wallpaper, because of my floors, my chair. But Cloud White or Simply White would’ve been fine too, I’m sure. BTW, with a highly reflective color like white, the undertone theory doesn’t always hold true. Great point! And yes, I realize that my orange-y floor is reflecting that, especially in the afternoon. Not that my walls look orange, but definitely more beige. But when I put a white sheet down in front of the closet, it all went away. That’s very difficult to ascertain without being in the room. There are so many other variables as well. Like, ambient light from other exposures, height of ceiling, size of window, color of floor, other colors, age/style of home, geographic area, outdoor space. Is it wooded, grassy, desert, lake, ocean, big hill, or other buildings close by? Is it a room that’s used more in the morning or afternoon. Morning, it’ll be nice and bright most likely, evening, not at all, of course. Mirrors placed opposite your windows if it makes sense will double your light! Mostly, I have used white dove for trim and cabinetry, but not nearly as much as cotton balls for both trim and walls. Cotton balls looks great in all lights. Of course, it’s going to appear darker in a more dimly lit room, so if you are hoping for light and bright, it’s not going to happen. However, Cotton balls never looks yellow or too gray, dingy, even when I’ve seen it in lower lights. It is a “cleaner” (less gray) white than white dove. However, white dove looks lovely in my morning light, in my south/west facing room. But south does get a little more light from the morning sun unless it’s cloudy. And that grayer note, is what adds a full-richness of delicious creamy white that makes it such a winner. A percent of what? To your point, the base, which is what you are using does have a color and it reads as a pale gray on its own. For some colors, this additional coolness might be just the ticket to ward off unwanted yellow undertones, but it also might create more unwanted gray. Hahaha! Priceless as always. 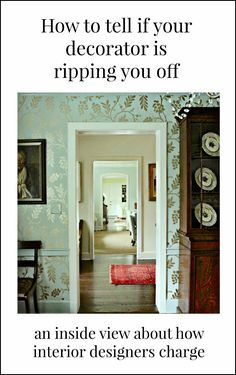 I love that closeup of your wallpaper + paint by the way – things will turn out well. Judging by the responses, it seems like we are all empathetic to this syndrome. :). Thank you for reassuring us we are all batty and it’s ok! I’ve spent the the whole week going back and forth on my wainscot color decision. 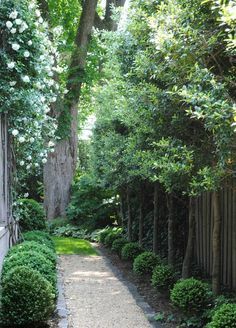 All my bedrooms have white dove trim and it looks lovely, but in my hallway looks completely drab (no windows), so I am changing it up to Cotton Balls in all the common areas as I work through the house. Yes, it’s the LIGHTING damn it! And while I believe that there is definitely validity in the undertone theory, the lighting ultimately dictates what our eyes PERCEIVE any given color is. And the other colors around it! And, it will also reflect the color of your rugs or other items that bounce back to the wall. So proving once again that whites are never the same from one place to another, which makes them so interesting and possibly frustrating at times. I have a few rooms in White dove with Chantilly lace trim. Some face west and south, some face east…and all are surrounded by greenery and trees, which can also change whites to a more greenish hue. Yes, I think that you’re right Karen. Two weeks ago, my son was here and I gave him my rug that I still love but it’s too small for the room. And we drove it to Boston. It looks so nice in his little funky living room. But when I got home and saw my naked floor, it gave me kind of the same feeling. The bedroom’s going to be a stunner when it’s done! but the change is too big not to be causing some angst. And always remember the wise words of Jocasta Innes (the mistress of paint effects in the 1980s), that you will almost certainly hate your newly painted walls (especially if you’ve done any kind of effect on them, such as dragging) until you’ve got the furniture and the wall decorations, whether art or wallpaper panels, back in. Once everything’s in, the walls become background instead of being the focus of too much of your attention. I love painted brick but didn’t work up the courage to paint the fireplace in my first home. Issues aplenty. I especially love white painted brick houses. OMG going through the same thing at our house and sometimes the process gets the better of me! But really, I do so enjoy it and feel blessed I can do it after a lot of tough situations. This morning I was reviewing the Paint Palette groups for inspiration (and have been every night for the last week:) I remembered to check my email and there you were going through a similar trial and error. You too struggle with this stuff too and you are an amazing designer! The upstairs guest room has lots of shadows… one window is in a dormer the other is pretty but tiny, a curved wall, dark corners and a lower than 8 ft ceiling are my challenges plus you know, keeping the rest of the rooms in mind:) I chose a fairly dark color for the den and don’t want another dark room. But today is the day I have to decide because tomorrow is painting day! Wish me luck, I’ll need it for sure. White paint drives me insane. Loved this post. Nice to know that even the pro has second thoughts. Ten years ago I picked a color for the siding on our house (half brick/half siding). The brick is a funny brick–sort of a Spanish-style effect with the brick popping through a white coating, kind of painted but a rustic version. It is hard to find the right color to go with it! I thought I had found a good color (with samples painted), and the painter got going painting it. When I returned at the end of the day, it looked awful! The house glowed and looked like it had been dipped in caramel! However, it was not just me, our neighbor across the street mentioned she liked how it “glowed”! So for the second coat we repainted (yes, it cost more….) with a different color, much calmer, much happier. Laurel, Just wanted to let you know you are not alone. For some reason, I thought interior decorators were immune to this condition. ANY life changes take time to adjust to and paint colors are no different. Enjoy your lovely, new space that you’re so deserving of! Hi Laurel! That’s so true – I’m a quilter and one of the things we learned about choosing fabrics is that adding some clashing elements lends vibrancy and life. If everything is too perfectly matched it can look static and ho-hum. First I agree with runningonempty, a red/blue based color like your purple is the hardest to cover. Even with primer, two coats sometimes allows for some bleed through. Have you considered having the background on the paper match and then cut down maybe to 60%? I’ve done a million color consults and sometimes there is just no right color available. The color is covered. And no, I do not ever color-match and don’t recommend it as I tried it once very early in my career and the results were not optimal. What a perfectly timed article! I am tearing my hair out over White Dove and Simply White for new kitchen cabinets. I now worry it might clash with bianco white marble because it is a tat too warm! At least this is what I am reading. I have to pick out paint for my new kitchen cabinets now and was all set on Simply White until I read I should go with something more white. AHHHHHHHHHH!!!! Then the walls. Any suggestions? I am scared to go with Chantilly White. Can you use one white in the kitchen but another for the rest of the room which is the dining room, a big open space? Help I am going insane! Well, I’ve used white dove with Carrera Bianco and Calacatta Gold and it is beautiful. There are numerous examples in the links provided. You can use different whites in different areas near each other. I had catact surgery on one eye, and the difference is ASTONISHING! I’m not super old nor decrepit, in my mid 50’s when I had it done a few years ago, because I just couldn’t compensate with bifocals anymore, so I chose the lens replacement in one eye…the doc warned me that I will see colors brighter, but I poopoohed him thinking “no way” my eyes aren’t that bad…but low and behold when I looked around right after getting the new lense, I swear I could see ultra violet light! White was blinding white again. When I close my new eyes lense and only look through my old eye…its like looking at nicotine stained walls vs shines bright white….and this is what we see and don’t even know it! Never would have believed it in a million years! I think this is why we see some older women with lipstick that is just too bright…because they see it muted through the brown in our natural lenses that starts already in our early 30’s. That’s very interesting Chris. I must see my eye doctor for a check-up. Don’t think I have cataracts but I was diagnosed with very early-stage macular degeneration four years ago. So far, things are stable and I don’t notice anything. This is one of the reasons that I decided that I needed to switch my focus to blogging, not actually designing for clients. Laurel, that just it…I didn’t have cataracts either! I was just going through too many dime store readers and always misplacing them….until I got sick and tired of always looking for my glasses! That is the only reason I had the lense replacement done in one eye. Now, I need ZERO glasses or contacts! This one eye works like a charm and I don’t even notice that my other eye just has normal age related vision loss…aka arm not long enough. I can read the smallest print and see in distance too as the lens is multi focal. But I had no cataracts. That is why I was so surprised after getting the new lens how bright everything was. The doc told me that WE ALL have lenses darkening starting around age 30 and you will see the colors like when you were a child again. I didn’t believe him either…but It is really that different! Hi Laurel – the shot of the door newly painted looks beautiful, as does the one with the wallpaper next to the new painted woodwork. Its good to know that even a pro like you goes through that angst during a project – i think you are going to fall in love with your new bedroom! I’ve been painting as well so sign me up for your PFN support group. I slopped the same four paint samples in so many places my kids asked if I was making a mosaic. The paint looked different on each wall. The one I had nicknamed “dirty walls” was BM Revere Pewter. It was the least objectionable of the four so I went with it. After the whole room was painted (versus one large rectangle) it turned out to be the perfect change… whodathunk? So relieved that my affliction has a name: paint focusitis nervosa. Actually, my affliction is more general: color focusitis nervosa. I recently had my beloved, comfortable, swivel, bedside armchair reupholstered. I’ve had this chair for over 30 years and sit in it often to put my feet up and read. I made a big color change from a pale blush to a vibrant but still pastel-y green to match my new bedspread. Eek! Every time I entered the room I freaked. So much remorse! I was ready to call the upholsterer and have it redone. 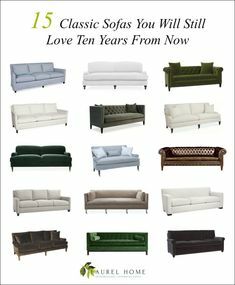 The only thing that stopped me was that it had already cost a small fortune (approx $900) to upholster it in the first place. Well, I’m (getting) used to it and it really does look just fine. This happens to me all the time – usually, like you, with easy to fix paint, this time with pricey upholstery. BTW, I love murals and your wallpaper is gorgeous. I can’t wait to see your bedroom when it’s done! Thanks for an interesting and comforting read on this overcast Sunday morning in NYC! Yes, overcast here today too, although Bronxville is only about 3 miles north of the Bronx border. :] My brain is starting to adjust to the new color. You need a minimum of three coats over a dark colour. Until that last coat goes up you won’t see the one you picked. Relax.